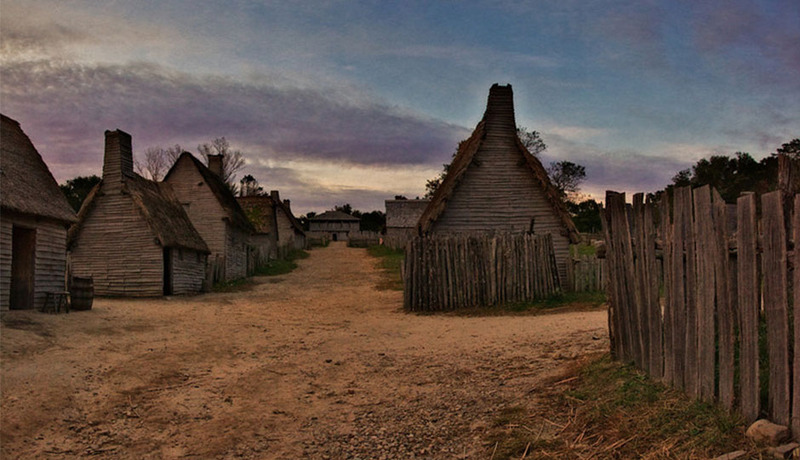 When you think of Plymouth, we’re guessing Pilgrims come to mind. These days, there’s a lot more going on in Plymouth than gold buckle shoes. 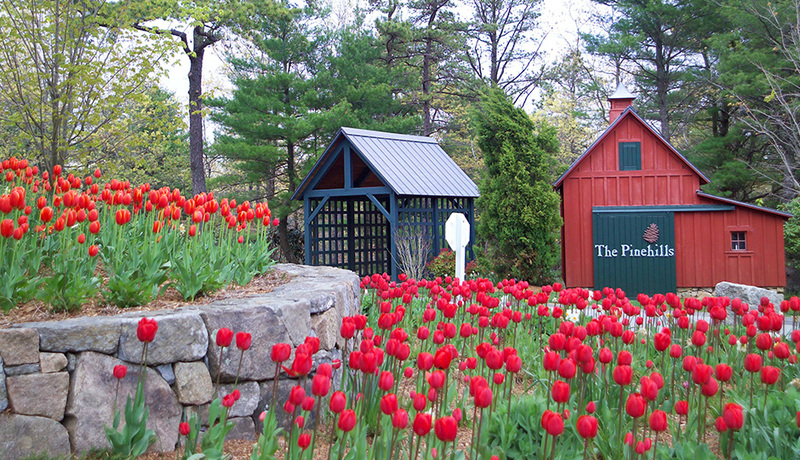 We’re a tiny bit obsessed with a village called The Pinehills. It has the feel of a low-key, dreamy vacation spot where the folks who run the place have thought of everything. It’s a world unto itself; almost like a college campus, but without the stress. 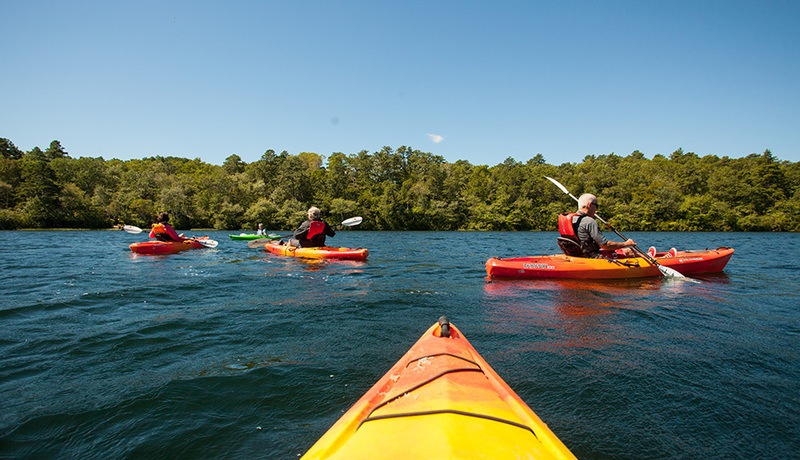 Everything is easy, from walking to the gourmet market, wine shop, or dry cleaners around the town green, to playing tennis, swimming, or taking a fitness class at the club, to biking on the trails, to kayaking on the pond. And don’t get us started on the crazy roster of clubs available to anyone who lives at The Pinehills. You’re a musical theater loving single who reads The New Yorker with a glass of Bordeaux? A bird-watching father of two with a penchant for paddling? A road-cycling, Tai Chi practicing professor? Welcome. People feel connected here, so communing with neighbors (and their dogs) is a part of daily life. 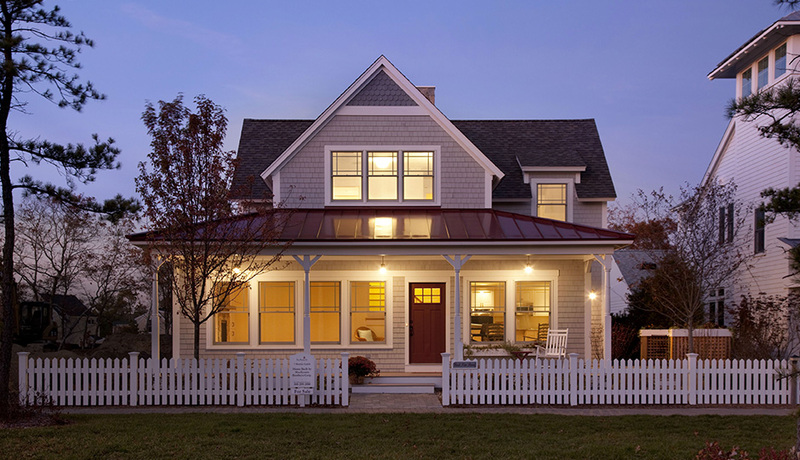 And while it’s easy to hightail it back to the city (just a 55-minute commuter rail ride) or escape to Cape Cod (eight miles over the bridge), there is so much going on that you may rarely want to leave. Weekends bring distractions that give the city a run for its money, such as concerts on the Plymouth waterfront, fashiontruck festivals, Etsy fairs, and the like. Living arrangements range from urban-style rentals (way more affordable than Boston!) to custom-built single-families. We can’t stop thinking what it would be like living in one of the cottages styled after those in Oak Bluffs on the Vineyard, or maybe a Vermont-style three-bedroom perched on a hilltop. Who would have thought Plymouth could be this appealing? Let us count the ways. So many housing options. At The Pinehills, whether you’re downsizing, upgrading, or re-locating, there are housing styles to suit your situation and budget. There are apartments with high-end finishes and amenities aplenty, easy living townhouses that require minimal maintenance, homes with in-law apartments or office space, and luxury dream homes with golf or ocean views. The great outdoors. Over 2,200 acres are open space, so you’re immersed. 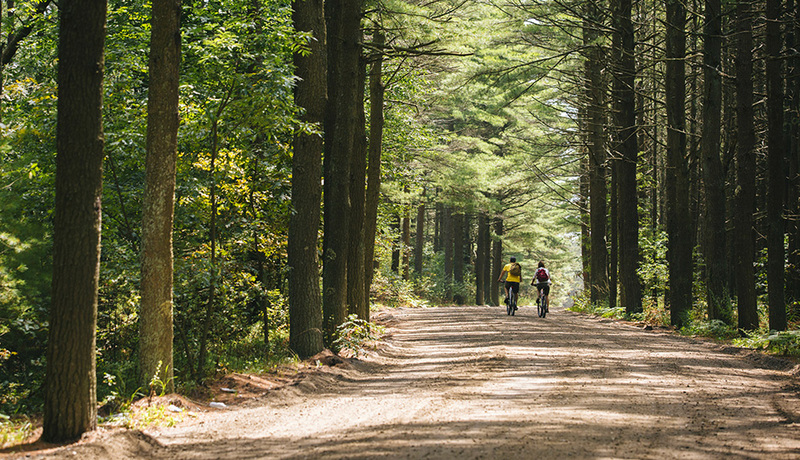 In addition to neighborhood parks and family backyards are ten miles of leafy trails that beg you to walk, run, and bike. And then there’s the 77-acre pond, primed for kayaks and canoes. Just 30 percent of the land here is dotted with buildings. Golf, golf, and more golf. 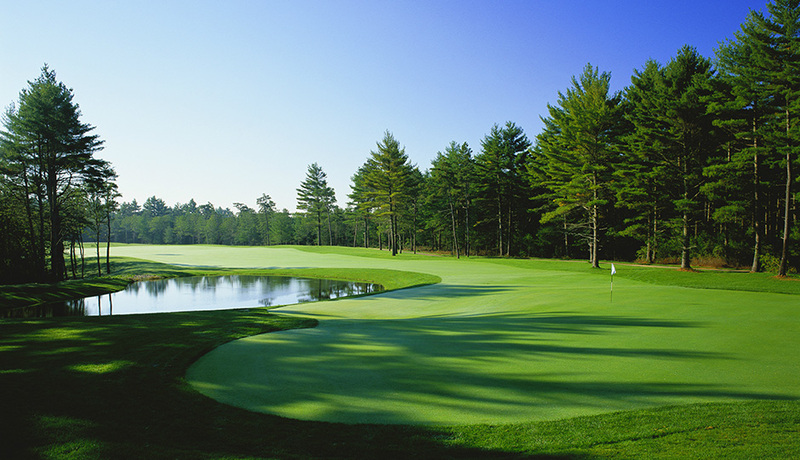 The Pinehills is home to Pinehills Golf Club, with two public 18-hole championship courses designed by Rees Jones and Nicklaus Design, as well as a Clubhouse for cocktails, lunch, and events – all open to the public. For those who prefer a private club, Old Sandwich Golf Club is ranked 38th in the country. Swimming, tennis, and yoga. Living at The Pinehills means instant access to the Stonebridge Club, where there’s outdoor pools (one for the kiddies) and two Har-Tru tennis courts. If spinning and free weights are more your speed, join The Village Racquet & Fitness facility or Club Mirbeau. Clubbing. No, not like that, though we wouldn’t be surprised to see residents busting a move. If you have a hobby or interest, there’s a group for it. Currently, active clubs include Art Studio, Hiking Club, New Yorker Discussion Group, Wine Lover’s Club, and a Writers Circle. Amenities at your doorstep. 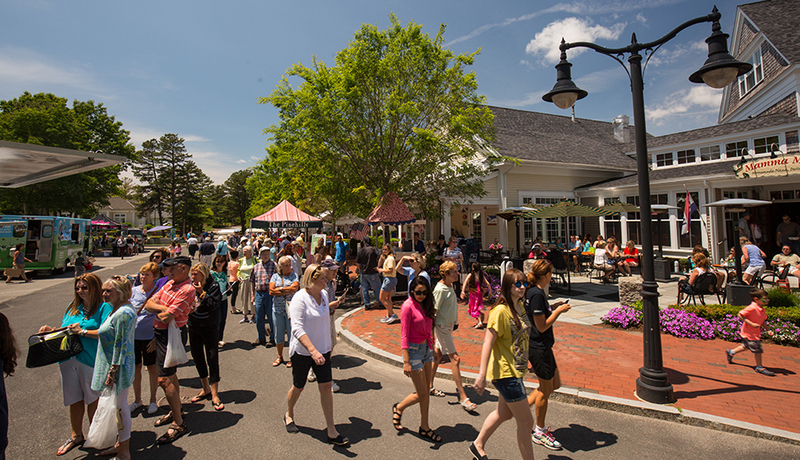 Over 25 shops and services, all of which are open to the public, surround the Village Green. 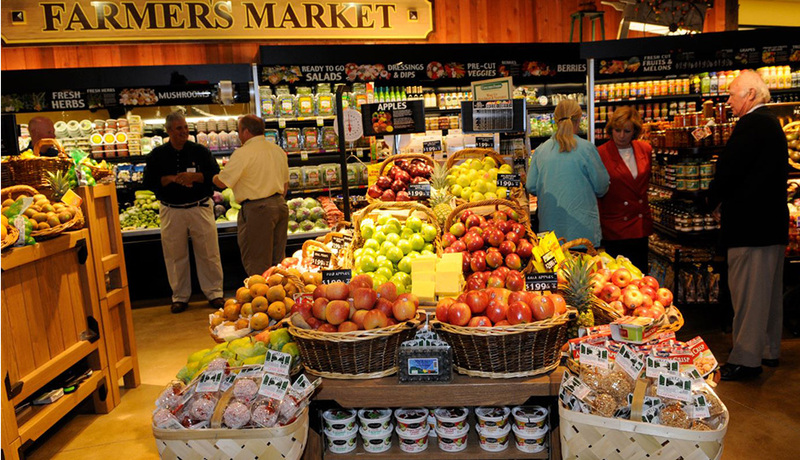 In addition to everyday necessities, medical and professional services, and restaurants, there is an exquisite gourmet market, wine shop, and salon. Imagine not needing to trek through town looking for this or that. Farm-to-table fare, celebrated chefs, and a cute café. 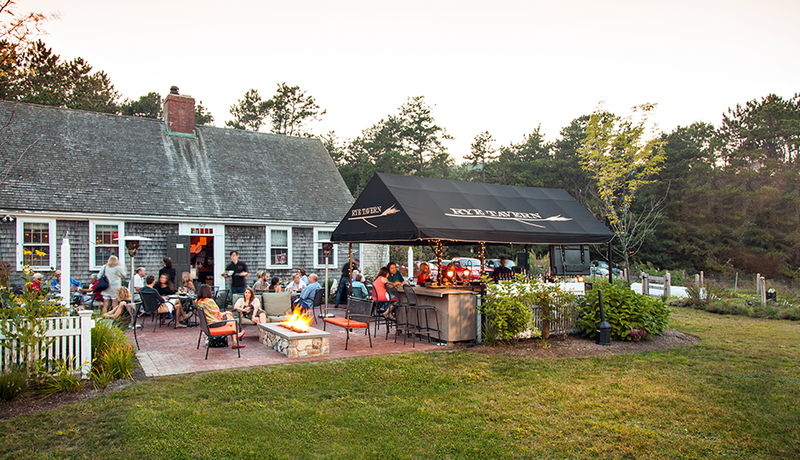 Rye Tavern, a 1770s tavern featuring locally sourced ingredients and craft beers is perfect for tete-a-tetes, or a friend-filled gathering at the fire pit on the patio. Other dining options include The Bistro & Wine Bar at Mirbeau Inn & Spa, helmed by Executive Chef Stephen Coe, pizza and pasta at Mamma Mia’s, fresh prepared food from the South Shore’s first Healthy Market, The Market at The Pinehills and the soon-to-open breakfast and lunch spot, Café Roo from the husband-and-wife team behind RooBar in Plymouth. Get pampered without paying airfare. 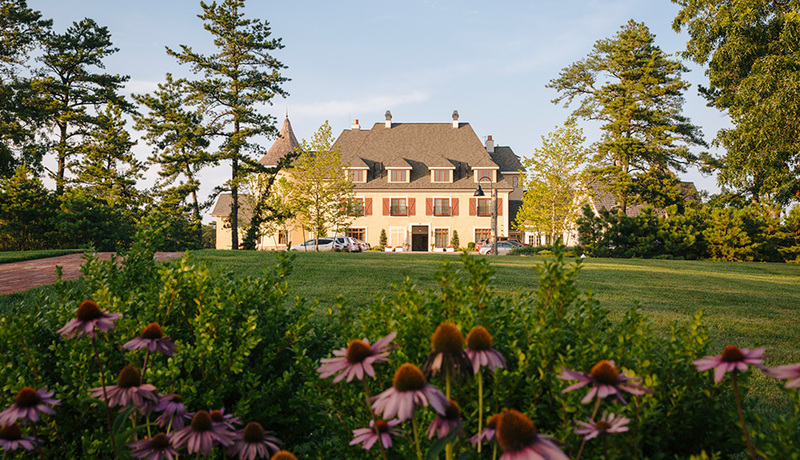 The French chateau-style Mirbeau Inn & Spa offers an escape without ever leaving. (You can put up guests here, too.) There’s a full menu of spa and salon services, aromatherapy steam room, and a bubbling outdoor whirlpool with drink service. (Not kidding.) The grounds also boast a Monet-inspired garden complete with footbridge. 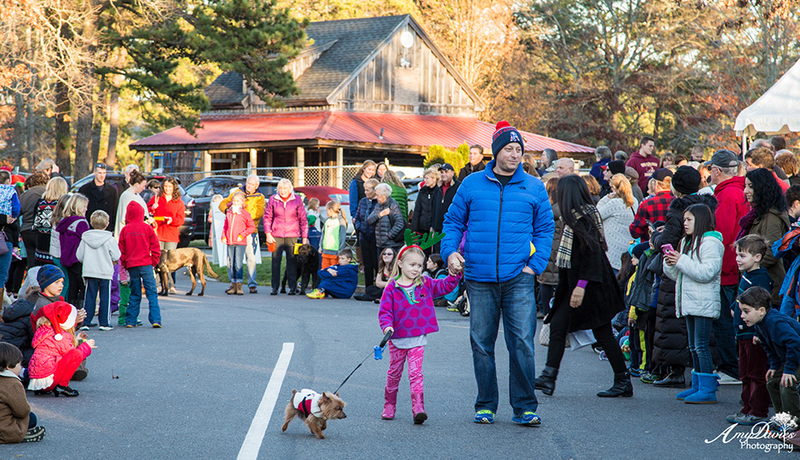 Fun, fashion trucks, and doggie parades. The Pinehills most definitely employs wizards of fun. Throughout the year the village hosts a stand-out arts fair, Etsy markets (Etsy makers anyone?) and volunteer initiatives. Come summertime expect the first-ever fashion truck festival and in the winter, a day of holiday fun that includes petting llamas, decorating cookies, and watching a reindog parade. History, because Plymouth. You’re in Plymouth, so venture out of the village. There is a thriving downtown waterfront, state parks, beaches, harbor cruises, whale watching, and a winery. Also historical attractions galore including Plymouth Plantation, Plymouth Rock, and a patriotic extravaganza over Thanksgiving weekend. Escape to the Cape. 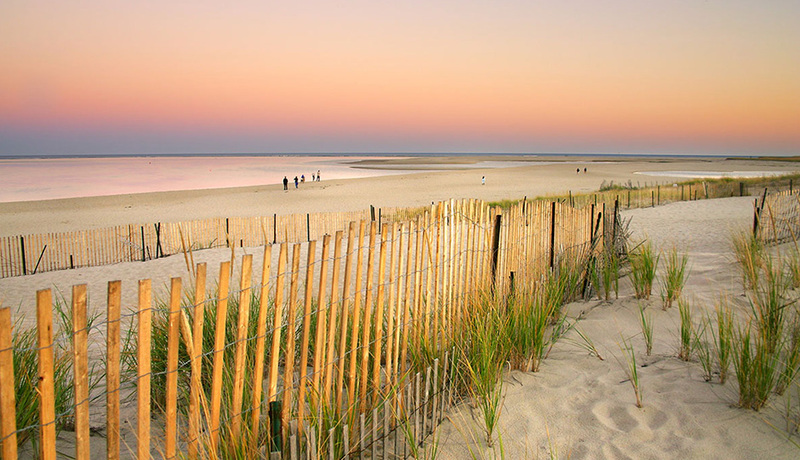 As if everyday life at The Pinehills isn’t idyllic enough, Cape Cod is just eight miles over the bridge making day trips and family vacations easy peasy. Or, hop the express ferry to Provincetown. All aboard to Boston. 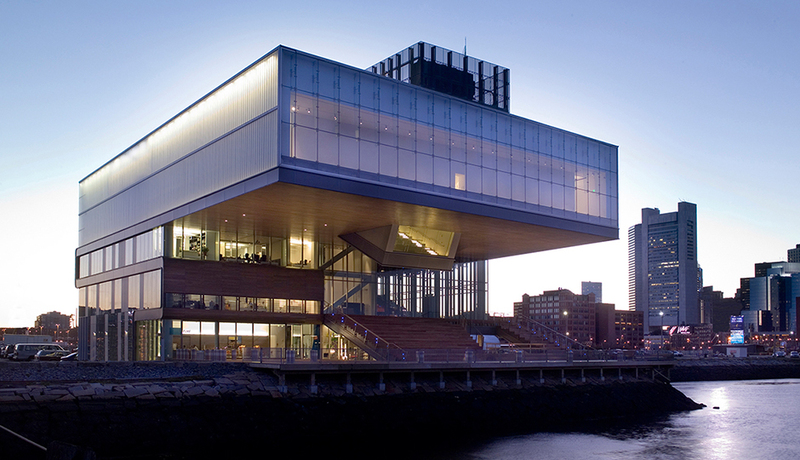 Take a meeting, catch the latest art exhibit at the ICA, enjoy dinner with friends, or park your car in Harvard yard; the city is just a 55-minute commuter rail ride (or 60-minute drive) away.